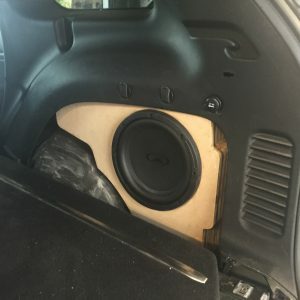 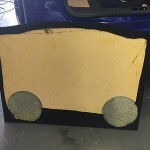 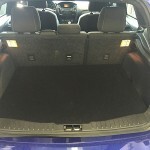 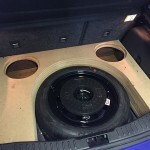 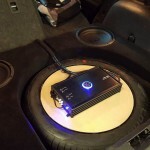 This is a compact 2012-2016 Ford Focus Subwoofer Box designed specifically for the 2012, 2013, 2014, 2015, 2016, and 2017 Ford Focus Hatchback. 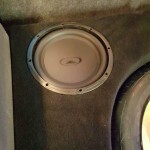 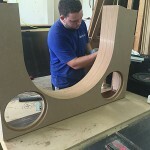 Each order is custom machined to your speaker's exact specification. 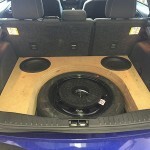 Please provide us with the correct model information. 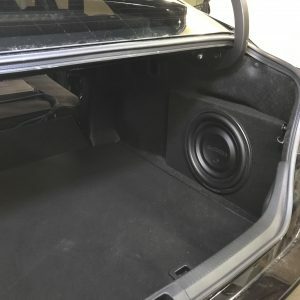 This is a compact 2012-2016 Ford Focus Subwoofer Box designed specifically for the 2012, 2013, 2014, 2015, 2016, and 2017 Ford Focus Hatchback. 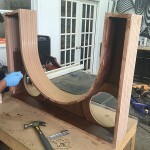 It is designed, engineered, and assembled in the U.S.A. Each piece is CNC cut for precise fitment, and assembled by veteran installers w/ the highest grade materials. 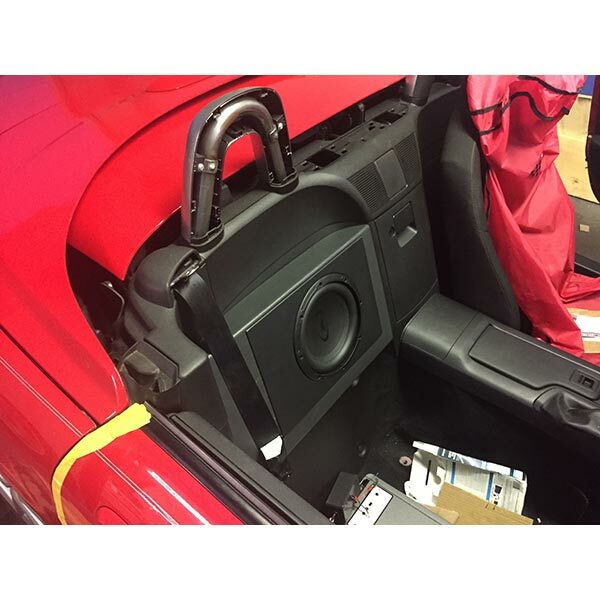 Each unit goes through extensive and strenuous strength and performance testing before being shipped out. 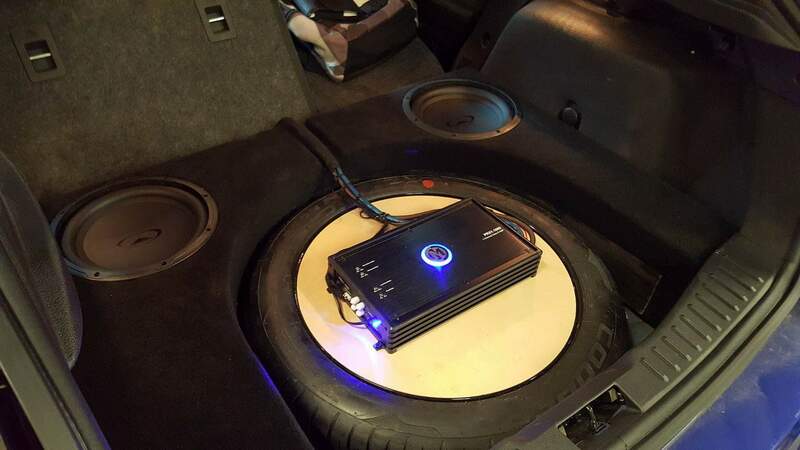 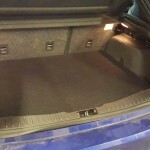 This Phantom Fit Box has been built to the exact specifications of the Audiomobile 10″ subwoofer. 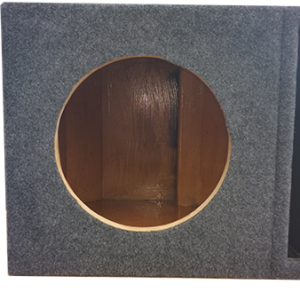 We chose this particular woofer because of it’s efficiency and performance in small spaces. 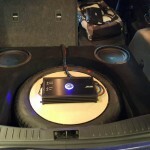 It has been proven to be unmatched by any other woofer on the market.